The Anchorage Assembly on Tuesday night unanimously approved selling the city-owned electric utility to Chugach Electric Association for $1 billion, but the complicated transaction still needs approval from the Regulatory Commission of Alaska. Selling Municipal Light & Power to Chugach Electric will strengthen the city’s financial position and provided unified electric service throughout the Anchorage area, Mayor Ethan Berkowitz said in a prepared statement. “A lot of people worked very hard to make this happen," Berkowitz said. Lee Thibert, Chugach Electric CEO, said the organizations “are looking forward to continuing to move toward a combined utility which will ultimately benefit the electric ratepayers of both organizations, the employees, and the community at large." More than 65 percent of Anchorage voters approved the deal in April, backing a proposition that said the transaction would not result in layoffs at the utilities, or in increases to base electric rates, according to the statement from the municipality and Chugach Electric. The Assembly supported the deal 10-0, moving the city closer to an arrangement that’s been discussed for decades. Assembly approval was an “important step” required before year’s end, said Julie Hasquet, Chugach Electric’s director of corporate communications. “It’s been a lot of work to get here, but we know we have another big job in front of us before the RCA,” she said. An asset purchase agreement and other sale documents are expected to be signed later this month, after ML&P’s audited financial statements are completed. 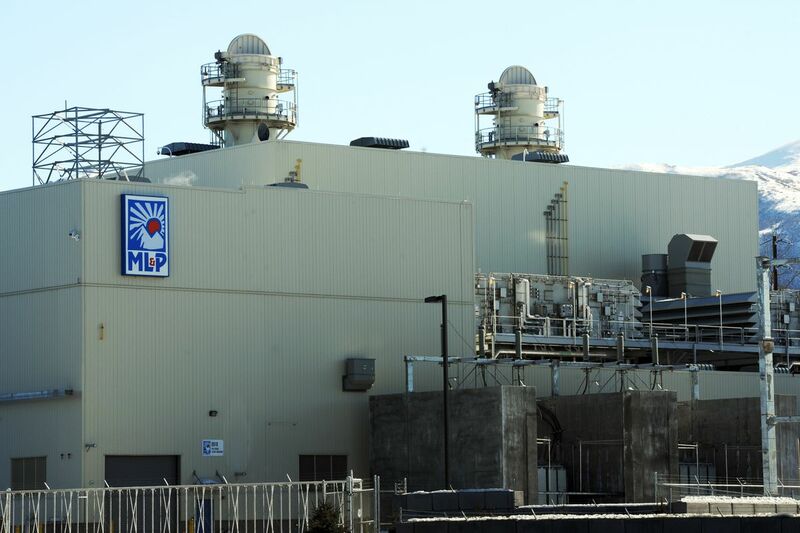 Chugach Electric will make an up-front payment of $768 million. The deal also calls for annual payments in the coming decades to the municipality, with a value today amounting to between $216 million and $242 million. The city would continue to own a share of the Eklutna Hydroelectric Project. Portions of the money will be used to pay down ML&P’s debt, replace lost taxes over time and fill the coffers of a city trust fund that can be used for general government. The Regulatory Commission of Alaska must clear the agreement once it’s finalized, potentially a six-month process or longer. The parties plan to file documents with the commission by the end of January, said Hasquet. “It will be a significant filing with a lot of material the RCA will need and want to see,” Hasquet said. The deal isn’t expected to close until the latter part of 2019, or early 2020. A draft terms sheet following months of negotiation was released in September. That and other information can be found at PowerAnchorage.com, a site maintained by Chugach.